1. Angelo Raffaele Genetti (Ralph) – Born: Oct. 24, 1867 in Castelfondo, Austria. 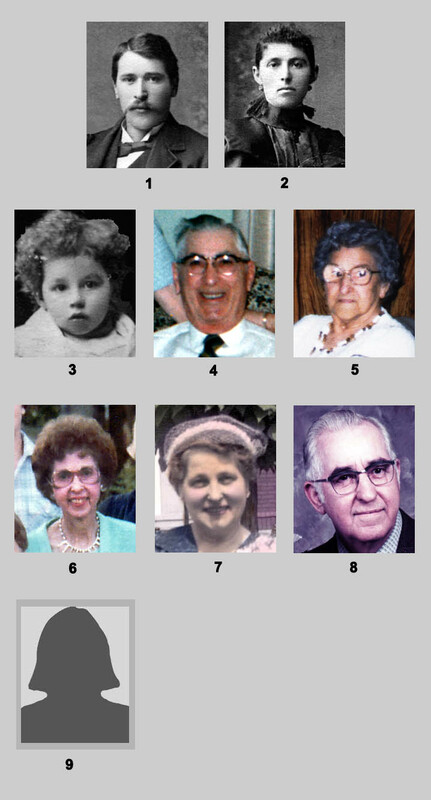 Death: 1949 in Weston, Pennsylvania. Married Lucia Zambotti, Oct. 19, 1894 in Weston, Pennsylvania. 2. Lucia Zambotti (Lucy) – Born: Oct. 25, 1865 in Castelfondo, Austria. Death: 1852 in Weston, Pennsylvania. 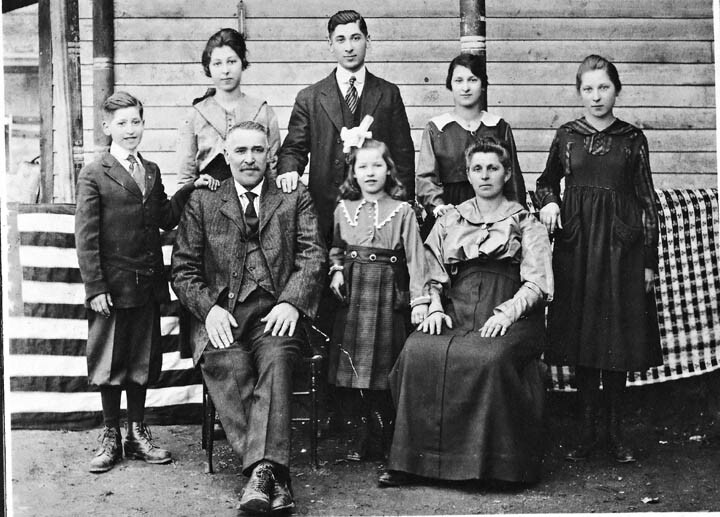 Raffaele and Lucia had eight children, six survived to adulthood. 3. Alesandro Genetti (Alexander) – Born: June 1895 in Pennsylvania. Death: between 1900 & 1910 in Pennsylvania. 4. Sylvester Genetti (Silvio) – Born: May 1899 in Weston, Pennsylvania. Death: 1982 in Drums, Pennsylvania. Married Mary Dona (Mayme), March 30, 1921. Silvio and Mayme had two children. 5. Mary Genetti – Born: Dec. 1, 1901 in Pennsylvania. Death: March 2, 1992 in Beach Haven, NJ. Married Rudolph Hudock, 1922 in Weston, Pennsylvania. Mary and Rudolph had two children. 6. Leona Genetti – Born: May 18, 1903 in Weston, Pennsylvania. Death: Nov. 1979 in Hazleton, Pennsylvania. Married Casper Hayden, Dec. 27, 1935. Leona and Casper had three children. 7. Elizabeth Genetti – Born: 1904 in Pennsylvania. Death: 1964 in Philadelphia, Pennsylvania. Married Paul P. Smith, Oct. 6, 1928. Elizabeth and Paul had two children. 8. Albert L. Genetti – Born: Oct. 21, 1906 in Weston, Pennsylvania. Death: Dec. 15, 1990 in Drums, Pennsylvania. Married Vivian Kummerer, Jan. 21, 1940. Albert and Vivian had two children. 9. Anna Genetti (no photo) – Born: 1909 in Weston, Pennsylvania. Death: 1974. Married William Nenstteil, 1928. Anna and William had three children. Missing: Raffaele Genetti Jr. – Born: unknown. Death: unknown.